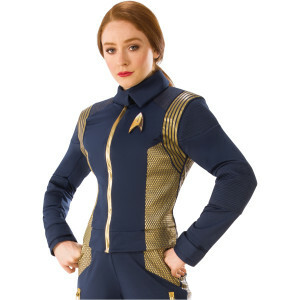 Get the Star Trek Discovery Command Women's Uniform in gold. Take control of the ship and give orders that are guaranteed to steer you and the crew to victory. With you in full control, combined with this detailed and authentic command uniform, it will be pretty much impossible to doubt you or to question your leadership.